Nobody can deny that it is so easy to sign up and use Blogspot (or sometimes known as Blogger), even non-techie and newbie bloggers can use it on the fly and since it is a free platform, it seems like a no-brainer to choose it as your platform for blogging. 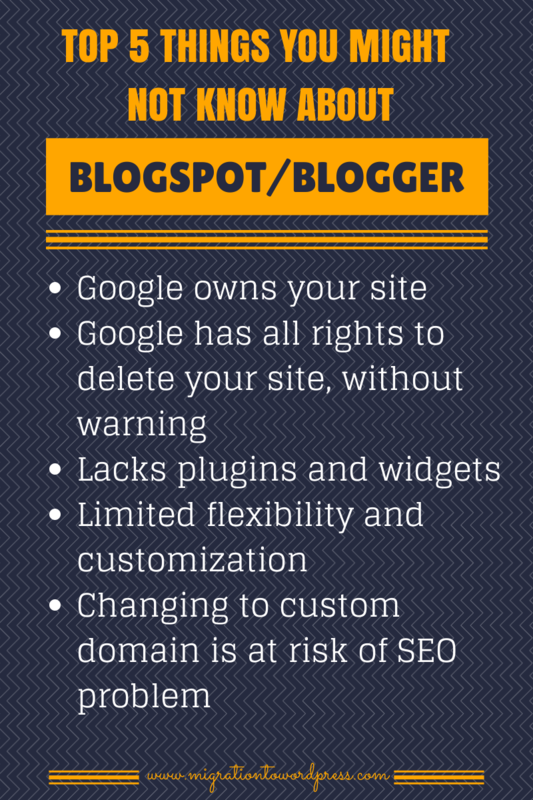 Here are the top 5 things you might not know about Blogspot/Blogger. You might need to rethink your decision, especially if you are in it for the long haul and will be investing your time maintaining your blog.